Head to Home Depot or Lowes and pick up hangers for frames. They look like metal buckles almost. One on each side of the frame and you're set. We're picking some up for a mirror for our bedroom. 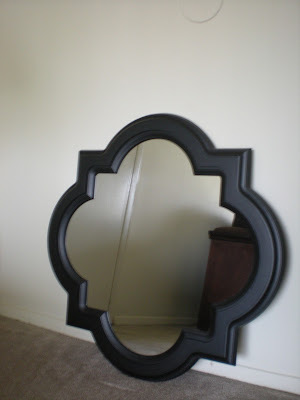 Also, I saw one like that the other day and actually thought about recommending it instead of a round mirror! Great purchase! Thank you, I will look. Thank you for the compliment! I'll be sure to post a picture as soon as it's up.